With the valuable assistance of skilled team of professionals, we are engaged in manufacturing an extensive range of high quality Weigh Batcher. 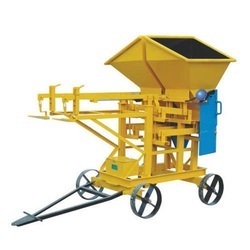 Capacity: 2 Bins suitable for 10/7 cuft concrete mixer. In the process of becoming one of the top most organizations, we are involved in offering Weigh Batcher. The Weigh Batchers offered by us are highly utilized in the construction industry. In addition, the offered Weigh Batchers are highly resistant to corrosion and are affordable in nature. 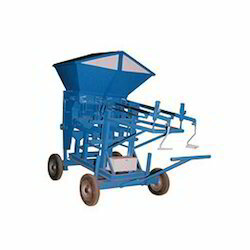 We have carved a niche amongst the most dominant names in this domain, engaged in offering Concrete Weighbatcher. - Weighing System: Pan weight of 50 and 100 kg and jockey weight to adjust the weight from 0 kg to 50 kg each. We are deeply indulged in offering a wide assortment of Weigh Batcher in the industry. These Weigh Batcher are highly efficient as they are made using premium grade materials that are quality tested. These Weigh Batcher have long functional life as well. Weigh Batcher of 3 Bins for Raw Material. Weighing of the Raw Material on the Belt Conveyor with help of the Load Cells and Automatic Batch control.